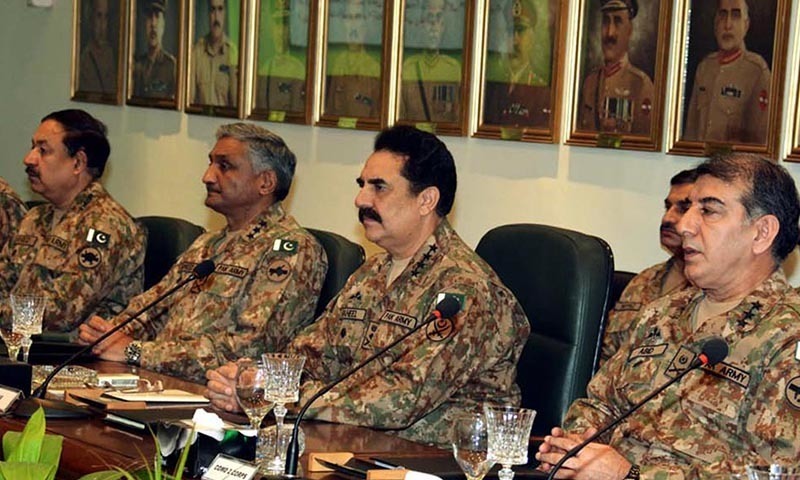 Chief of Army Staff (COAS) General Raheel Sharif Monday (today) said operation Zarb-e-Azb resulted into a more secure and stable Pakistan with a sense of greater hope and direction. This he said while addressing a huge gathering of Army and Rangers troops during his farewell visit to the Garrison. Thanking all ranks of the Army and Rangers for their services under his command, he said it was a matter of great pride for him to have commanded the finest Army in the world. “We are fully prepared to respond to any challenge and no one could dare cast an evil eye on Pakistan”, the COAS emphasised. “Pakistani people are the most resilient and brave nation in the world who have always persevered in adverse conditions,” he said. He urged the troops to follow the norms of their rich military tradition with even greater vigour and continue serving their people with utmost dedication, resilience and the greater sense of sacrifice. Earlier on arrival at the venue, Lieutenant General Sadiq Ali, Commander 4 Corps received COAS, General Raheel Sharif.